The RF2 series of force guided relays from IDEC are double pole relays that are electrically rated to 6A at 250VAC/30VDC and have a coil voltage choice of 12, 24 or 48VDC. Designed with force guided contacts meaning the N/O and N/C contacts are mechanically linked giving the most reliable way of ensuring safety to machinery and personnel. The RF2 series of force guided relays from IDEC are double pole relays that are electrically rated to 6A at 250VAC/30VDC and have a coil voltage choice of 12, 24 or 48VDC. Designed with force guided contacts meaning the N/O and N/C contacts are mechanically linked giving the most reliable way of ensuring safety to machinery and personnel. 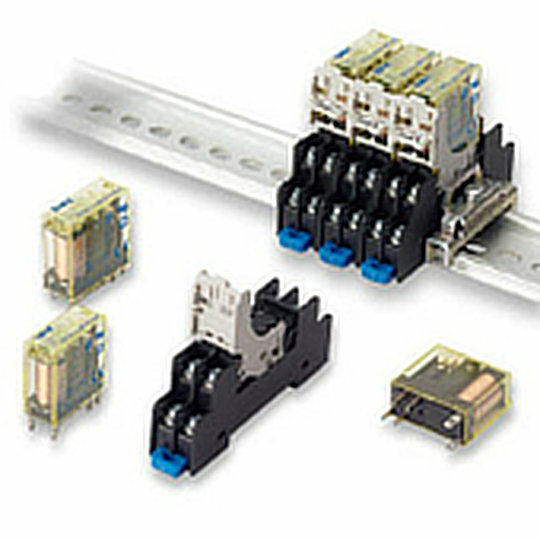 All RF2 series relays have a choice of plug-in or PC pin style terminals with sockets available for DIN rail mounting. With a mechanical life of 10 million operations and the option of high visibility LED indictors the RF2 series are perfect for when safety and quality cannot be compromised.